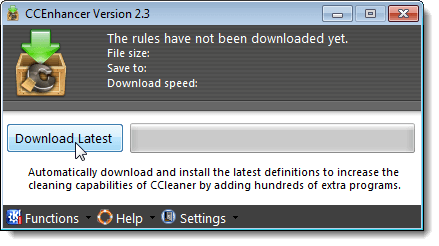 CCleaner is a free system optimization, privacy, and cleaning tool. It removes unused files from your system, freeing up valuable hard drive space, allowing Windows to run faster. It also cleans traces of online activities, such as your Internet history and cookies. CCleaner also comes with a fully featured registry cleaner. It’s a fast, free, useful tool that contains no spyware or adware. 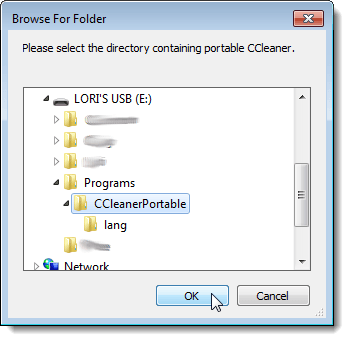 We found a small, portable tool, called CCEnhancer, that adds support for over 500 new programs to CCleaner, which already removes temporary files and recent files (MRU) lists from many programs such as Windows Media Player, Microsoft Office, Adobe Acrobat, and WinZip. CCEnhancer requires Microsoft .NET Framework 3.5 to be installed, and runs in Windows XP, Windows 7, and Windows Vista. To run CCEnhancer, double-click on the CCEnhancer.exe file. The program does not need to be installed. CCEnhancer stores the definitions for the additional programs in the winapp2.ini file. This file is read by CCleaner to easily add new rules and definitions for programs. The actual winapp2.ini file containing the definitions is not included with CCEnhancer. Instead, the file is downloaded by the program, allowing you to easily obtain the latest list of programs supported in CCleaner. 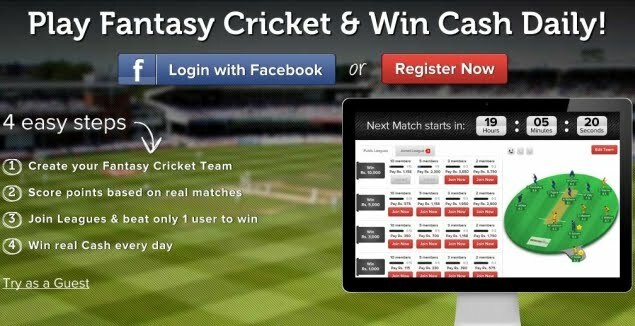 Simply click Download Latest to have the program automatically download the most recent version of the definitions. NOTE: If you are having trouble downloading the latest winapp2.ini file, you may have to add http://content.thewebatom.net/ to your firewall and CCEnhancer.exe to your antivirus and/or internet security program as an approved program. You are asked if you want to run CCleaner after the download. 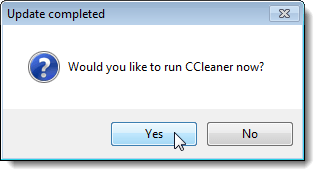 Click Yes, if you want to open CCleaner immediately. NOTE: CCEnhancer automatically closes after you download the latest definitions file. 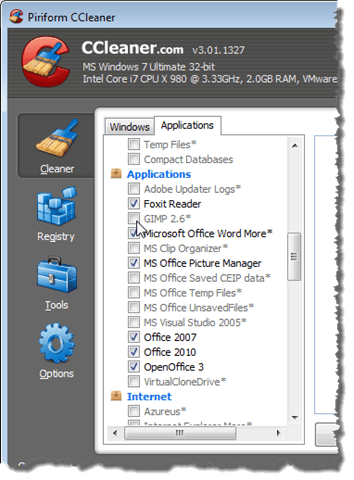 Programs that you have installed on your computer and have been added to the winapp2.ini file display on the Applications tab in CCleaner. They appear “grayed out” but the new programs can be selected by clicking the appropriate check boxes. Move the file to the CCleaner (C:\Program Files\CCleaner, by default). Any new programs contained in the winapp2.ini file that are also installed on your computer are added to CCleaner. 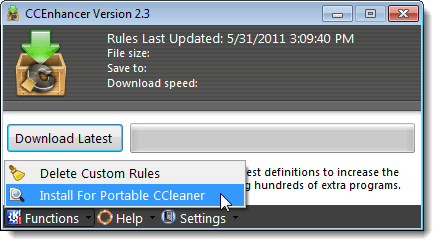 You can also add the custom rules to a portable version of CCleaner. To do this, select Install For Portable CCleaner from the Functions menu. The Browse For Folder dialog box displays. Navigate to the folder containing the portable version of CCleaner and click OK. If you want to run CCleaner automatically when you download the latest definitions file, without being asked, select Run CCleaner Silently On Completion from the Settings menu. You can also choose to update the definitions file automatically when Windows starts. To do this, select Update On Windows Startup from the Settings menu. To close CCEnhancer, click the X button in the upper, right corner of the main CCEnhancer dialog box. 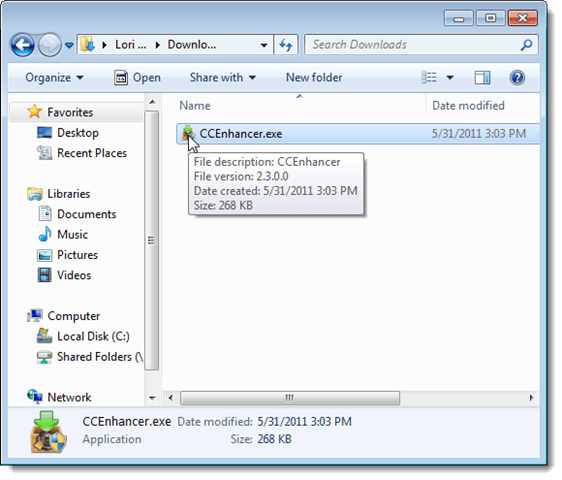 CCEnhancer is a portable application and doesn’t install anything on your computer. 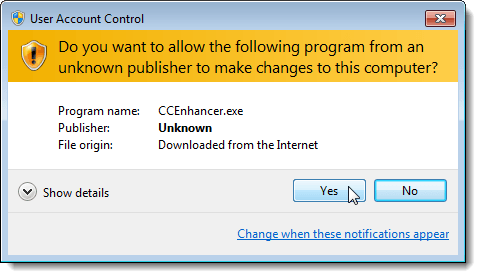 If you want to “uninstall” it, simply delete the CCEnhancer.exe file and the cc_config.ini file that is created in the same directory when you run the program. To remove the custom rules from CCleaner, simply select the Delete Custom Rules option from the Functions menu CCEnhancer interface. 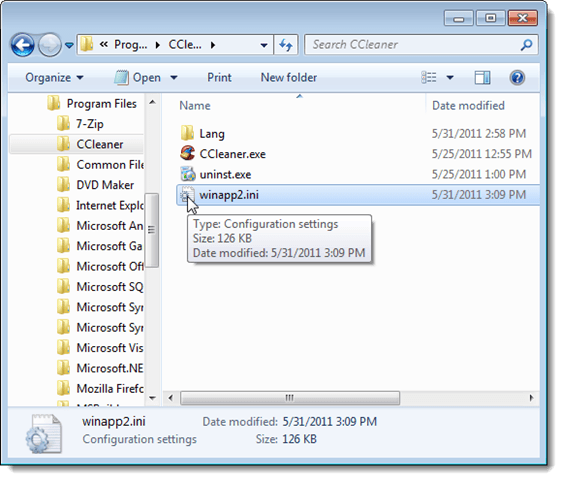 If you have deleted CCEnhancer but not the custom rules, navigate to where CCleaner is installed (C:\Program Files\CCleaner, by default) and delete the winapp2.ini file manually.